Frequently in Family Court, it becomes necessary to order what is called a Forensic evaluation, either for the purposes of custody, parenting time, or relocation out of State. A Judge, at oral argument on a parent's application (motion), does not always know for sure what is in the child's best interests, just from the arguments of lawyers. For example, pre-divorce, a parent might want sole custody (e.g. legal and residential), thereby being afforded the power to make all decisions regarding the child without needing the consent of the other parent. (This is unusual, however, since the presumption is joint legal custody). Or, perhaps there is a dispute over parenting time--how much each parent should spend with the child. Sometimes a parent wants to move out of State with the child, against the wishes of the non-moving parent. The Court needs to know what is in the best interests of the child, or in some cases, if a move out of State would be harmful ("inimical") to the best interests of the child. Without going into detail about Case Law and Statutes, which can vary from state to state, this article is primarily an overview about the process of performing a forensic evaluation by an expert to assist the Court in making its decision in these areas. This forensic evaluation is usually performed by an experienced and forensically trained licensed psychologist, licensed clinical social worker, or psychiatrist, with a report to be written and provided to the Court upon completion. The evaluation is not just performed on the child, but also on the parents as well. Intrinsic to the evaluation is the need to clinically interview each of the parties, make an assessment of the personality dynamics and possible mental health issues of each (if any), as well as make an assessment of the child. The latter also includes looking into the educational status of the child, if there are any special needs, learning problems, medical issues or behavior problems that should be factored into the equation. Important also is the need to review documents and other evidence, usually provided to the evaluator by the parents as well as by their attorneys. Accordingly, an evaluator--as part of the evaluation--could review court documents, previous orders and reports, the reports of other evaluators, school records, photos, video recordings, emails, etc. In relocation cases (also sometimes called "removal"), the evaluator may also review information comparing the target location (where the moving parent wants to live) to the current location, regarding medical, educational and social factors to determine if they are comparable. Needless to say, these evaluations can be very expensive, depending on the amount of work and time required, the number of children in the family to be evaluated, the amount of data to be reviewed, and if the expert will need to undergo a deposition and eventually testify at trial. Also important to performing a comprehensive evaluation is the need to interview "collaterals" who are additional people with first-hand knowledge about the child, the parents or the family. These collateral contacts may be a teacher, guidance counselor, physician, relatives, neighbors, etc. Obviously, some of the collaterals will be more credible than others. It is less likely that a school social worker working on the child's special educational program (e.g. Individualized educational plan, or IEP) will be more credible than the maternal grandparents who most likely will be biased in favor of their son or daughter who are the child's parents. All of this must be taken into consideration, assessed and put together in a credible manner so that the Court can rely on the information. At times, a forensic psychologist will perform psychological testing on the child as well as the parents if more information is needed to provide a full picture for the Court. Often, the Court will appoint its own expert and the report goes directly to the Judge first, to be disseminated under Protective Order to the attorneys, to protect its confidentiality. Usually, after a court-appointed expert renders a report, one or both of the parents will not be happy with it. In that event, the dissatisfied parent usually has the right to hire their own expert to hopefully refute the Court-appointed expert's opinion. In some cases, there are three experts: one of the Court's choosing, and one for each of the parents. The Court-appointed expert will be more credible to the Judge who appointed that expert, unless the report is filled with inaccuracies and there is a lack of scientific underpinnings, methodology and data to support the conclusions. Either way, if the parents end up being ordered to split the cost of the Court-appointed expert, and they each hire and pay for their own expert at an average of $7,500-$12,000, depending on the amount of time required, you can see how much this can cost. Sadly, some parents cannot afford to get their own expert who may want an initial retainer of between $7,000 and 10,000 before doing any work. In the event that the Court-appointed expert does not do a satisfactory job (in that parent's opinion), a disgruntled parent may have to live with those results if there is not another report or expert who will refute the first one. Ultimately the Judge listens to all of the testimony, makes credibility assessments and makes a determination. The expert also will be cross-examined at trial and even a Court-appointed expert can be found to be not credible when forced to explain their results and conclusions. On the positive side, however, sometimes a well-written expert report disseminated to the parties prior to the trial date, will motivate the parties to settle and avoid trial. I have seen this happen first-hand. I have previously written in this Blog that parents going through divorce, or custody and visitation disputes are fixated on the "badness" of the opposing party. Being temporarily blinded by their own emotions and feelings of victimhood, they can become tunnel-visioned and even acutely narcissistic in their formulation as to what is in their child's best interests. Vilifying the other parent to the expert, slinging mud and disparaging the other parent, is often counterproductive and self defeating. The parent going through this evaluation process, rather than demonizing their ex, would be better advised to focus more on their own solid relationship and activities with their child, unless there are unusual circumstances such as domestic violence and child abuse. From the point of view of what is healthy for the child, the best approach is the parent who seeks to include--rather than to marginalize--the other parent, who encourages the child to have a good relationship with the other parent, talks respectfully to--and about--the other parent to the child and to others (especially when the child can overhear), and who clearly signals to the child that it is ok to love and have fun with the other parent (even though that parent may have been unlovable as a spouse or partner). The healthy approach is to minimize stress for the child and to reduce or eliminate the loyalty conflict felt by the child who loves and wants to please both parents. Even nonverbal cues (e.g. facial expressions, rolling eyes, etc.) can signal to the child that it is not ok with Parent A that the child enjoyed their time with Parent B. Children are very focused on the individual reactions of one parent regarding the other. Part of the expert evaluation is to identify and to predict the degree to which the parents will be supportive and cooperative with each other, and to make recommendations to the Court based partly upon those and other important factors. 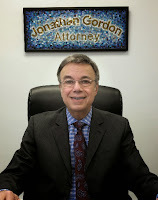 Jonathan D. Gordon, Ph.D., J.D., is a Family Law Attorney in NJ and in NY, and is also a Licensed Psychologist (NJ #1358, NY #5614, OH #7540) who has performed forensic child custody evaluations for the Courts and who has been appointed Guardian ad litem and Parent Coordinator. Please note, this blog is for information purposes only. It is neither legal nor psychological advice and it does not create an attorney/client or psychologist/patient relationship. If you have a question about a specific matter you should seek out an attorney or mental health expert to assist you.